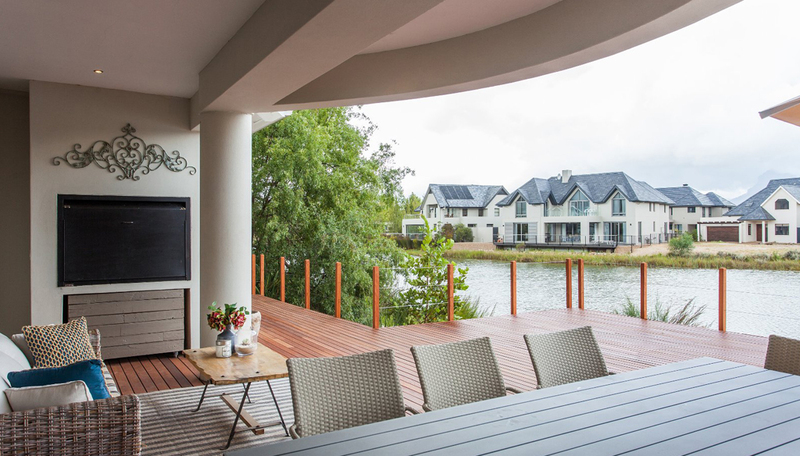 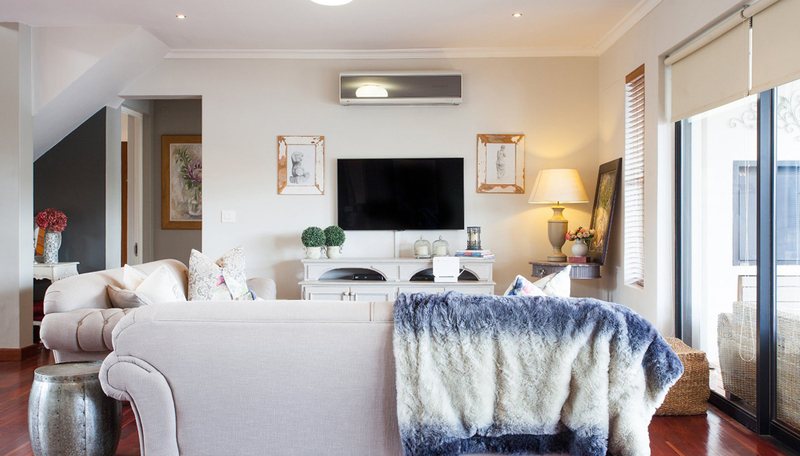 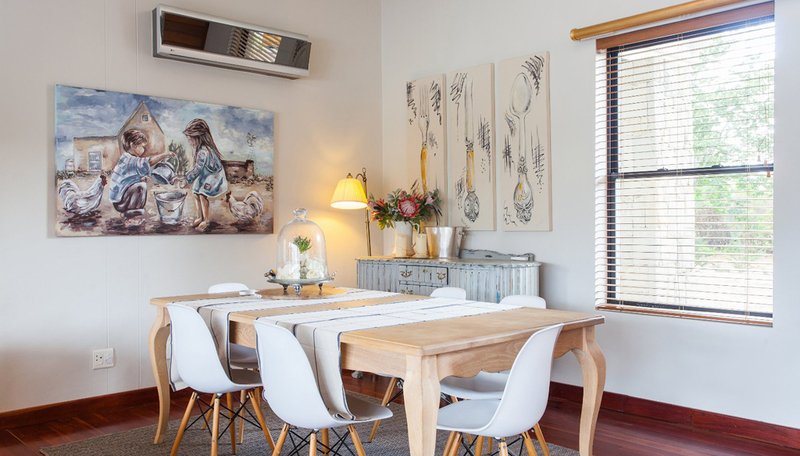 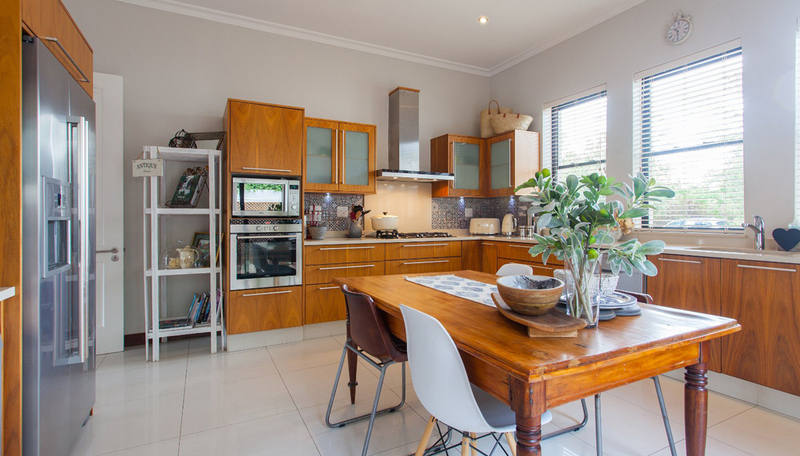 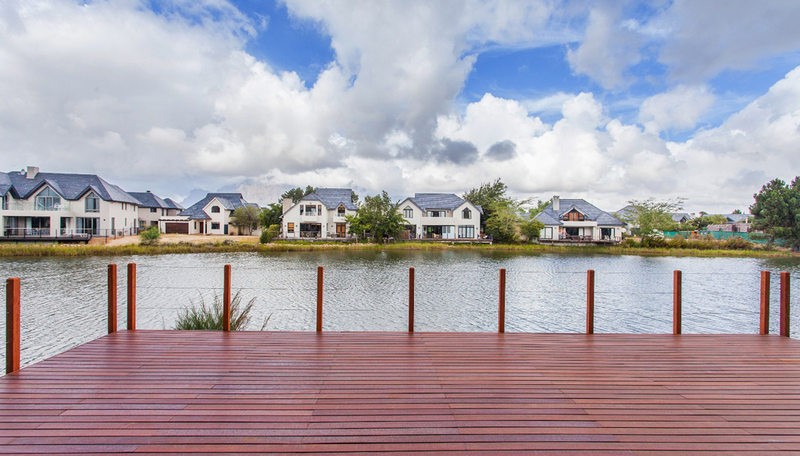 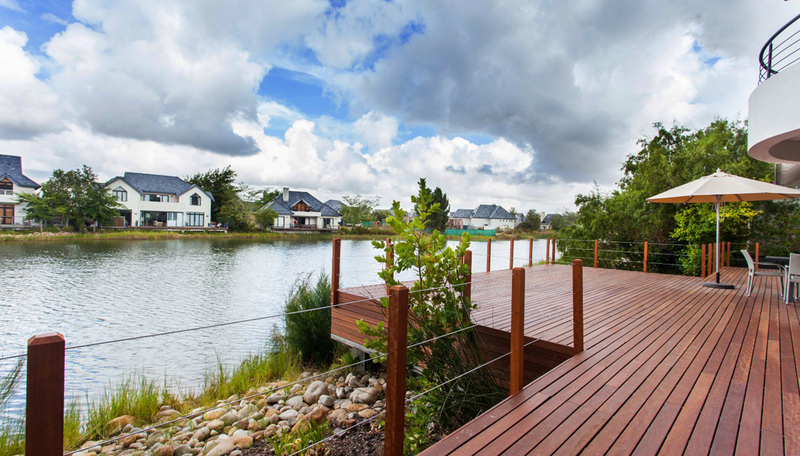 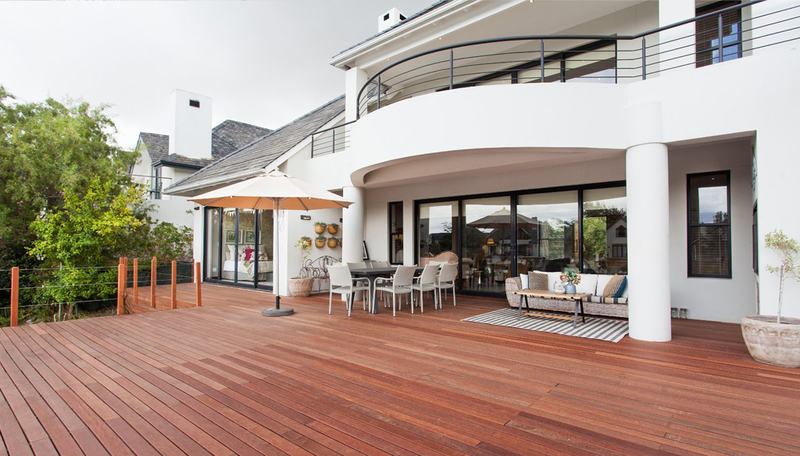 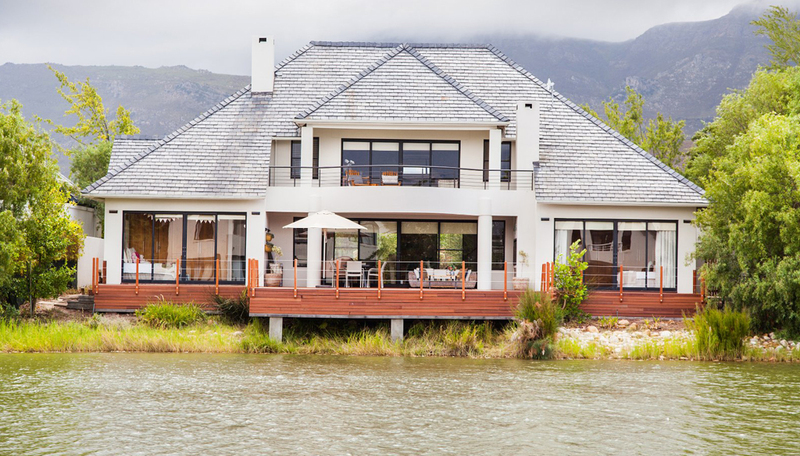 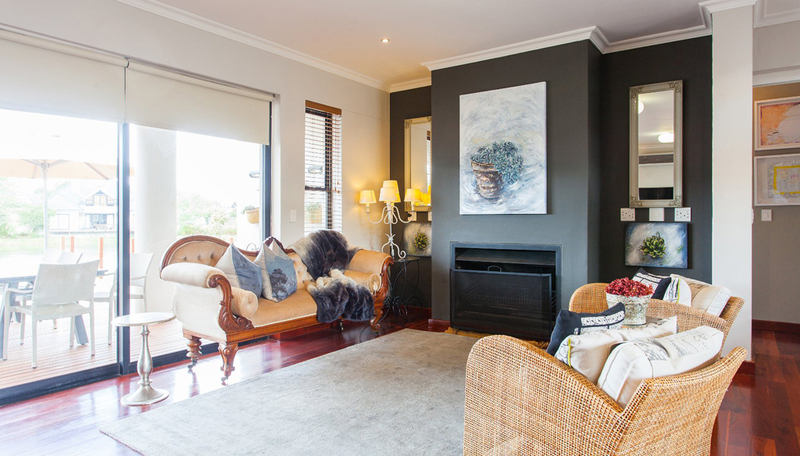 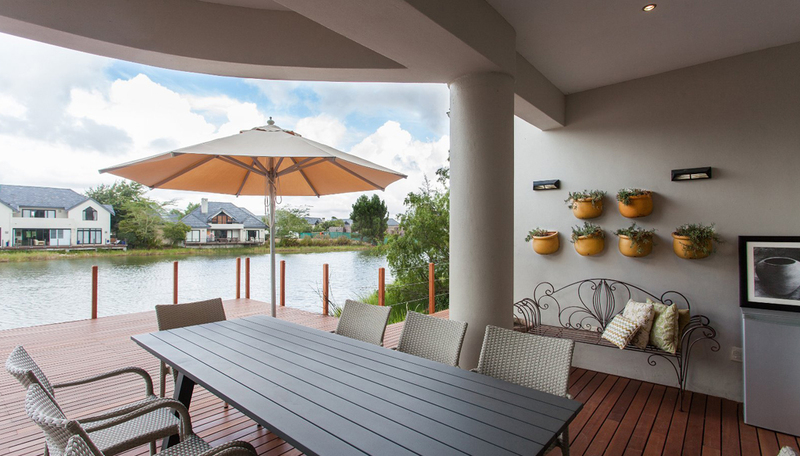 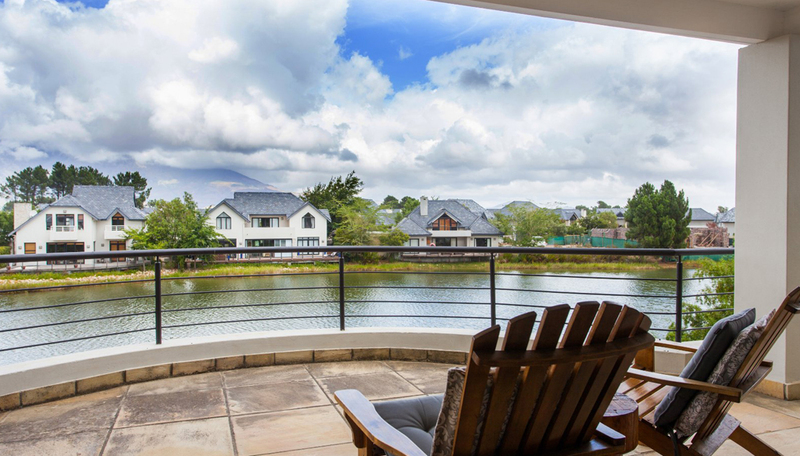 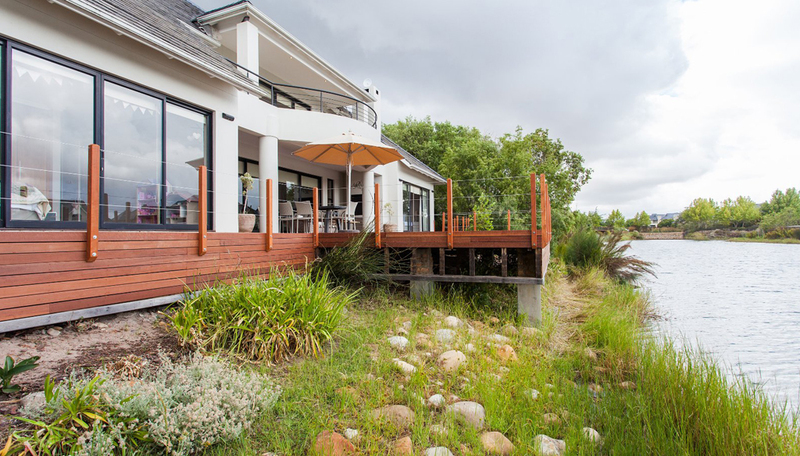 Beautiful Pearl Valley lake home Official On-Site Property Agency. 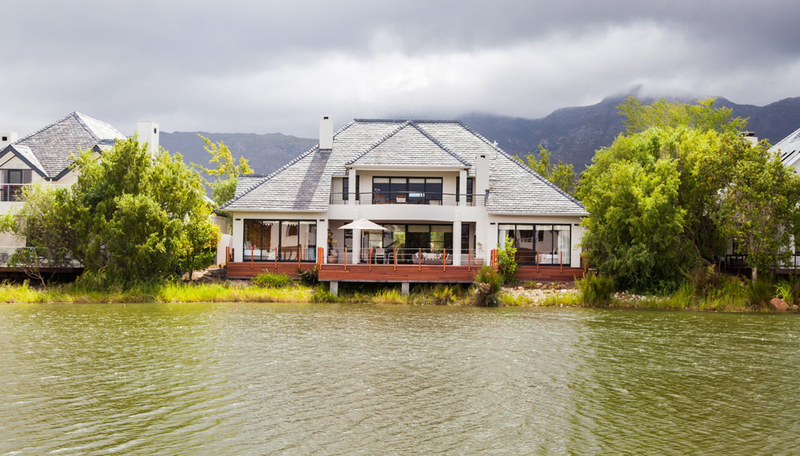 Perfectly positioned on one of the biggest stands overlooking the lake, this beautiful 4 bedroom home offers exceptional mountain and lake views and truly gives you a sense of peace and privacy. 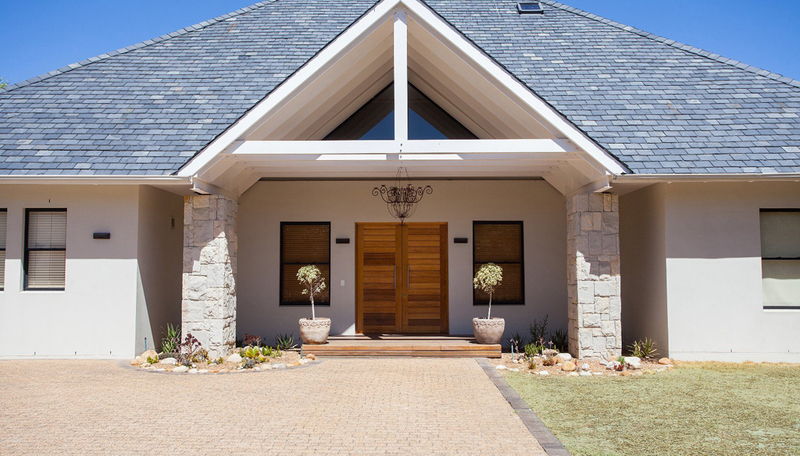 A double garage, golf cart garage and large front area offers ample parking space and storage. 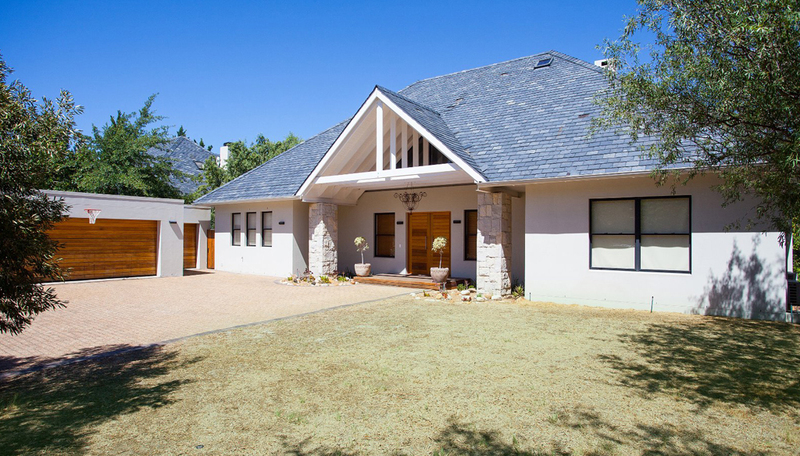 This home is conveniently close to the main clubhouse, golf club, Health Spa, resort pool, restaurant, onsite car wash, gym and sports facilities. 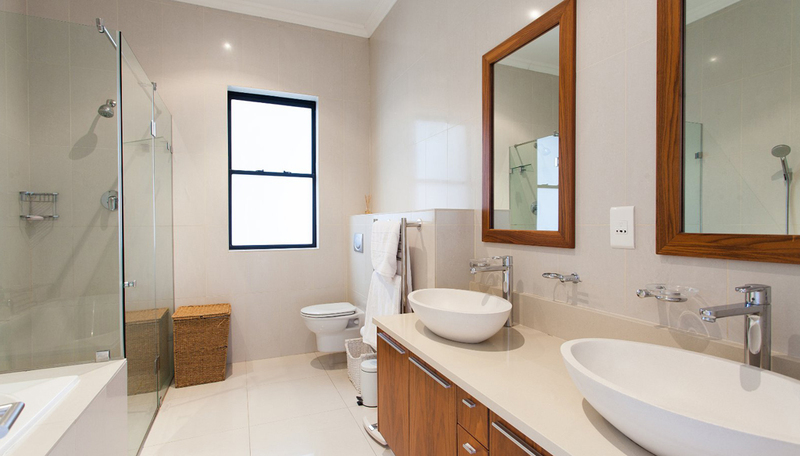 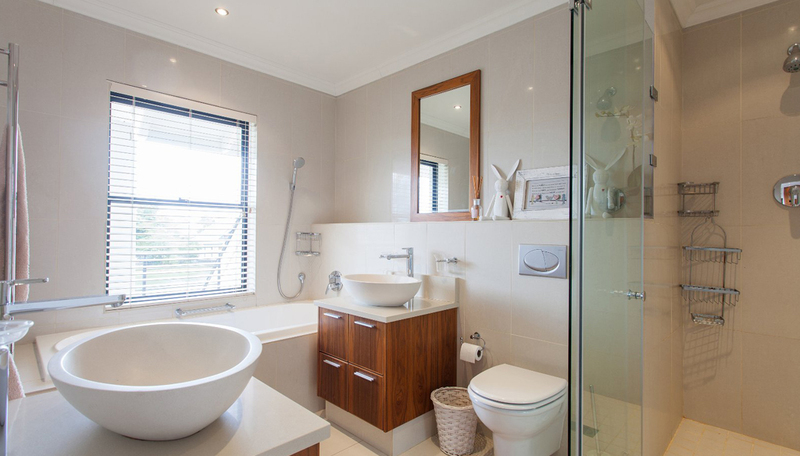 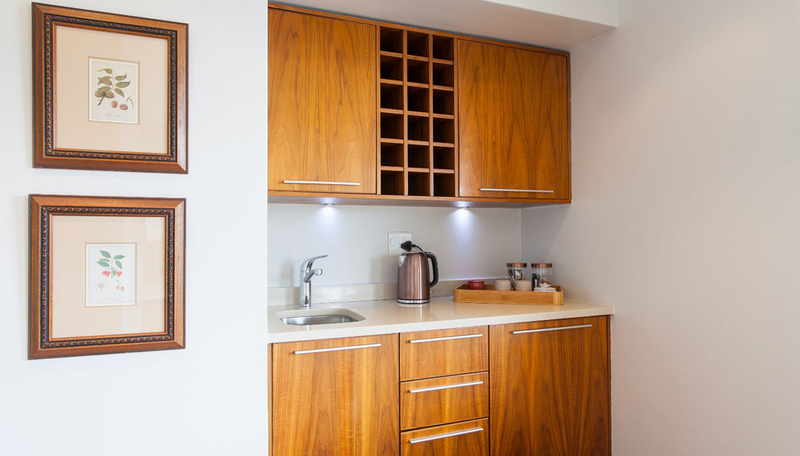 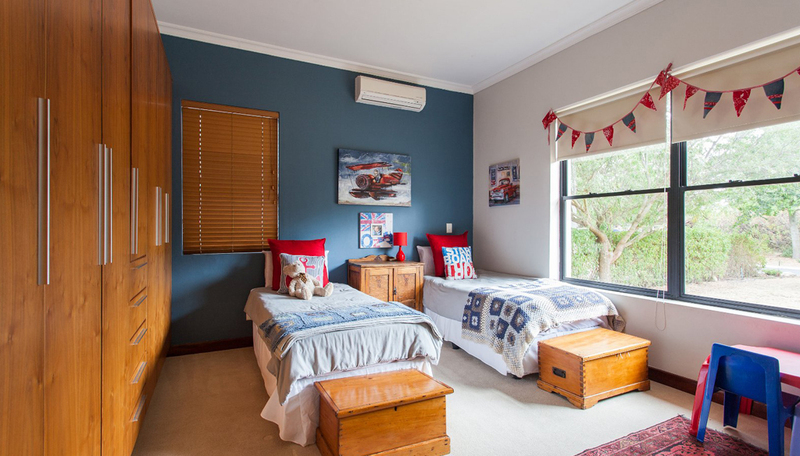 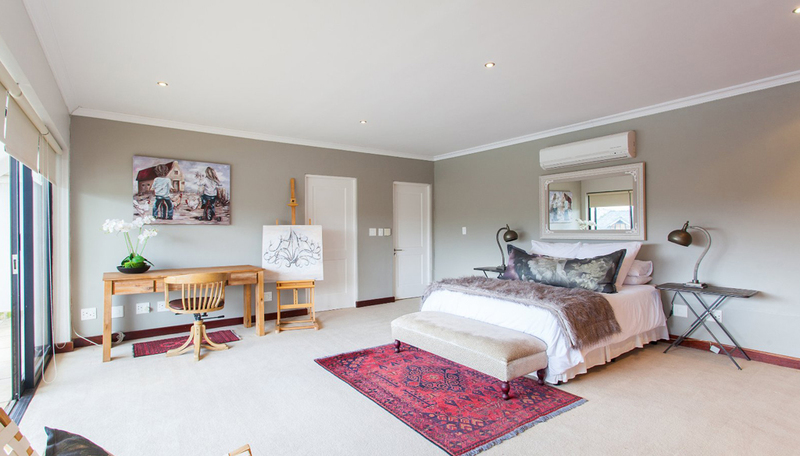 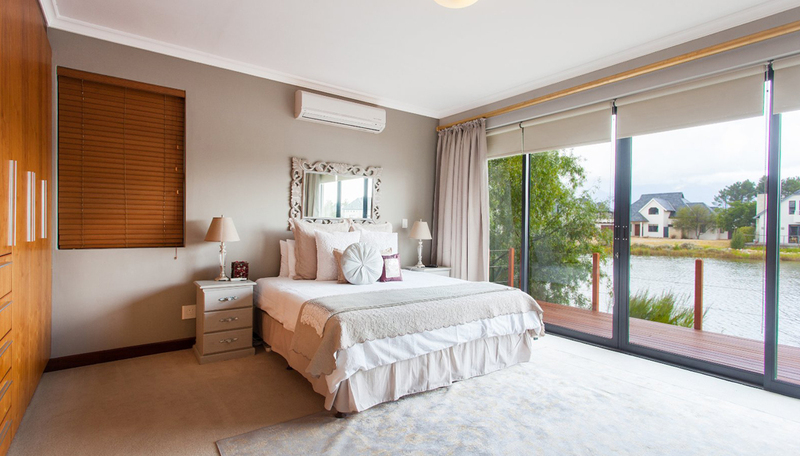 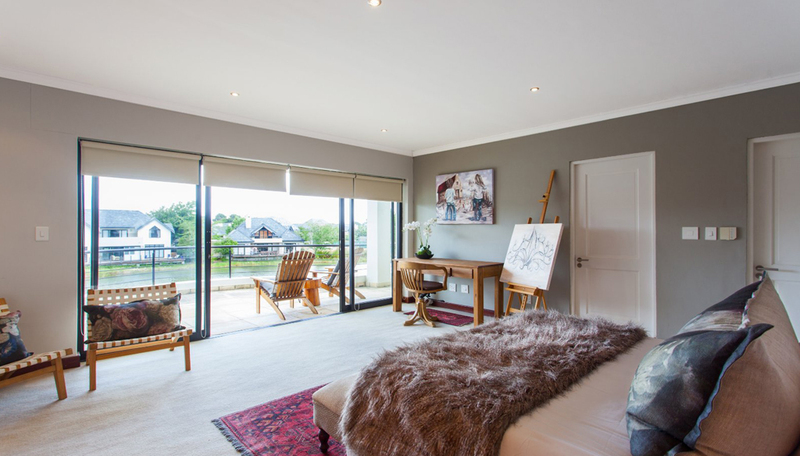 Each bedroom is spacious, has ample built in cupboards, beautiful views and their own en-suite bathrooms. 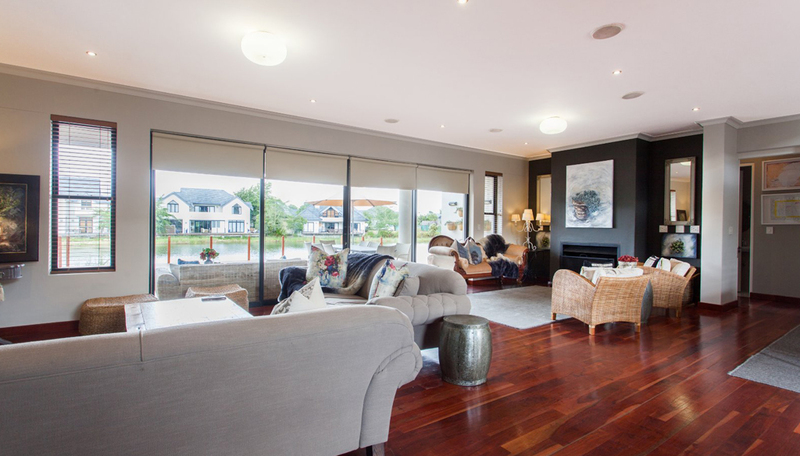 Two gorgeous living areas overlook the lake and a brand new deck on the water’s edge. 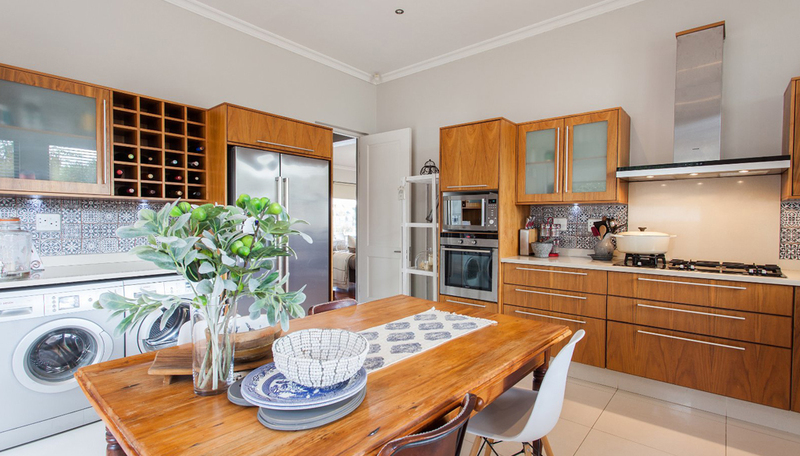 The kitchen leads to it’s own courtyard and garden and also boasts plenty cupboard and preparation space.